Yes, you read that headline correctly! As most of the racing community converged on Florida in some form or fashion for the 47th running of the Snowball Derby this past weekend, Langley Speedway’s 2013 Legend track champion packed his trailer up and head west down route 58 to a little town by the name of Alton, Virginia. 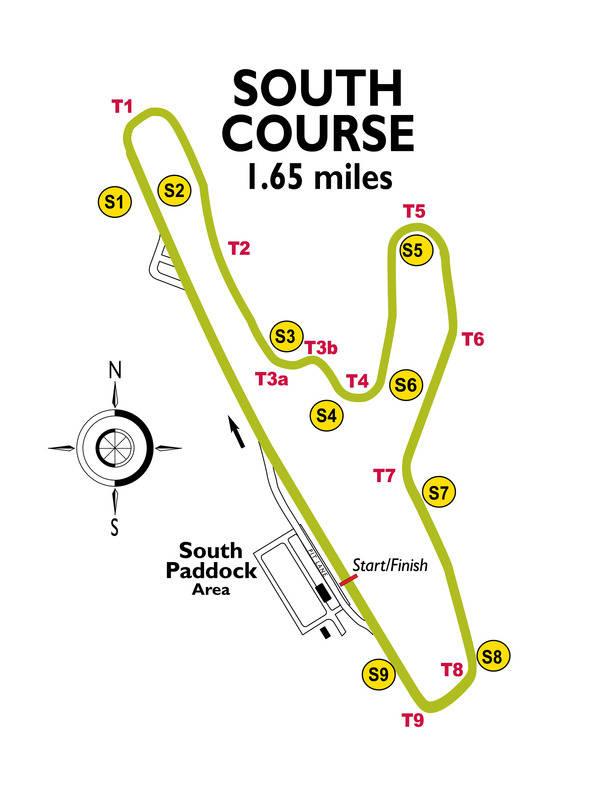 Located here is the historic Virginia International Raceway (VIR) who just so happened to play host to this years INEX Legends World Nationals. For those who may not know Saunders is a jack of all trades so to speak! Currently he’s taking classes at a local community college pursuing his degree in Mechanical Engineering. 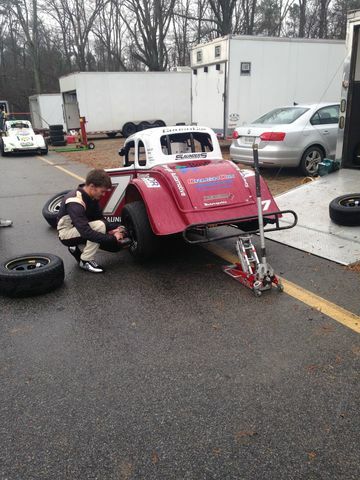 Saunders is also the tire specialist at Precision Performance Motorsports (PPM), a NASCAR team located in Gloucester fielding teams in the Whelen All-American Series, K&N Series, and working a a car for the Southern Mods. 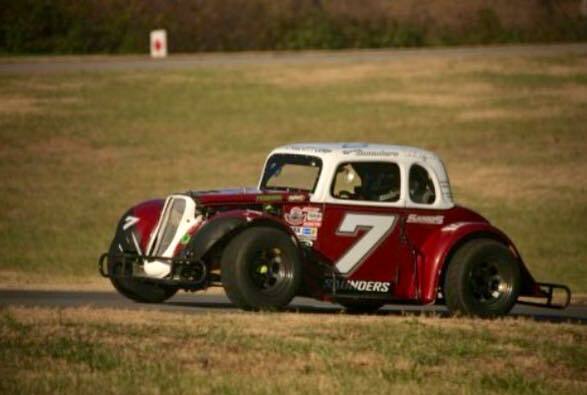 On top of that he is also the steering wheel holder of the #7 Legend at Saunders Motorsports. The 18th Annual World Finals were upon us this weekend, an event won by some of the best INEX Legends drivers the WORLD has to offer. A three-day event, run rain or shine, on the 1.65mi, 12 turn South Course of VIR had drivers chasing wet/dry set-ups all weekend long. We were able to catch up with Saunders to talk about the event, the experience, and what 2015 has in store for Saunders Motorsports. “First time on a road course with a Legends car,” Saunders said about the test day. “Friday practice went really well. It took me 10-12 laps to get acclimated with my braking zones while trying to figure out my shift points. Once I got that all sorted out we started making some changes to the car to find speed.” However it was almost like those changes were void because of the rain all day Saturday at the track. Events as big as this one have no problem sending drivers out on the racing surface as long as there is no lightning or monsoon conditions in the area! “Saturday was a little bit crazy, it rained all day long,” explained Saunders. “We chased the rain setup all day and never got the hang of it so we switched everything back over for a dry setup to prepare for Sunday, which undoubtedly hurt us in qualifying on Saturday.” Qualifying and heat races are done quite a bit differently than most people are used to. Drivers earn a certain number of points for where they qualify, then a certain point value for the heat race. The driver with the most points at the end of those cycles get to start on the pole in the main feature. Not only is the qualifying procedures a bit different they have different levels of competition; Pro, Semi-Pro, Masters and Young Lions. In the rain, Saunders qualified 11th knowing they had a dry set up on the car. “We ended up 11th in qualifying which wasn’t terrible but not what we wanted.” Saunders explained. 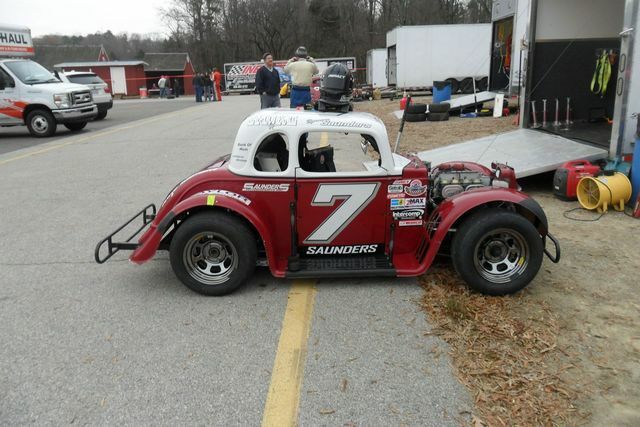 “Heat race I got in a little scuffle with a tire barrier and broke the steering arm on the left front.” The crew was able to make the repairs on the car Saturday afternoon to allow Saunders to hit the track for one final hour-long practice early Sunday morning. We also asked Spencer what his plans were in the future about school, work, and even what to expect from his racing program.